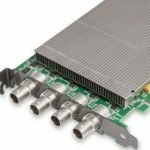 The VisionSC-DP2 video capture card offers video professionals the ability to simultaneously capture multiple 4k, Ultra High Definition, video feeds, each at 60 frames per second. 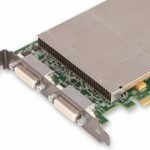 The VisionSC-SDI4 video capture card is the perfect solution for AV professionals looking to capture from multiple SDI sources in High Definition. The VisionSC-HD4+ capture card provides the combination of audio and video capture from a single card. With four channels in total. The VisionSC-UHD2 ensures the very best quality and ultimate customer satisfaction. Providing two HDMI 2.0 capture channels with HDCP2.2 support at 4K60p with 4:4:4 chroma sampling.